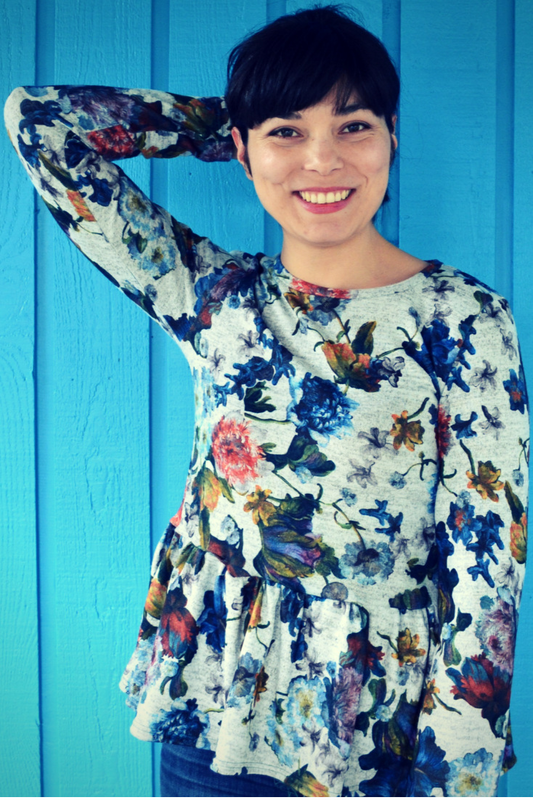 This loose fit, woven A-line top (and dress) features gathered bottom detailing and three sleeve styles including short, long and petal sleeves. Recommended for light to medium weight knit fabric such as ponte roma, French terry, jersey cotton and rayon blends. 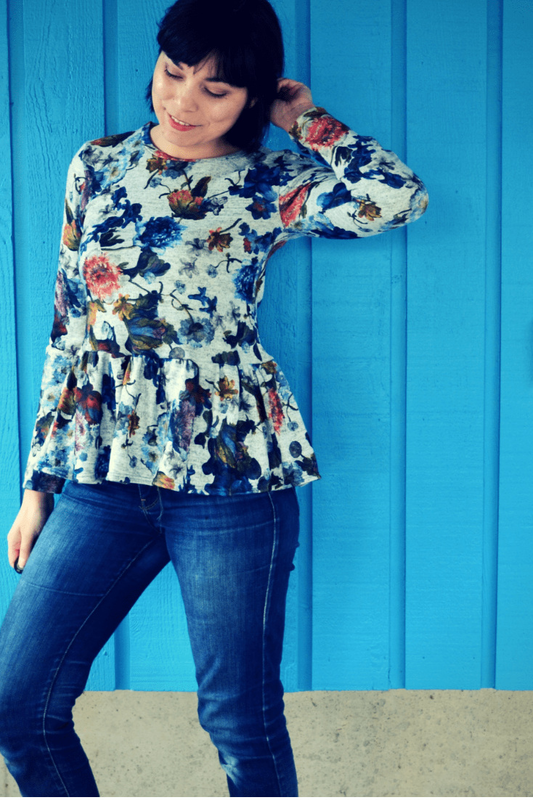 This fully graded PDF pattern is available in sizes 4-22.